Tata Steel gave a very good opening range breakout trade. 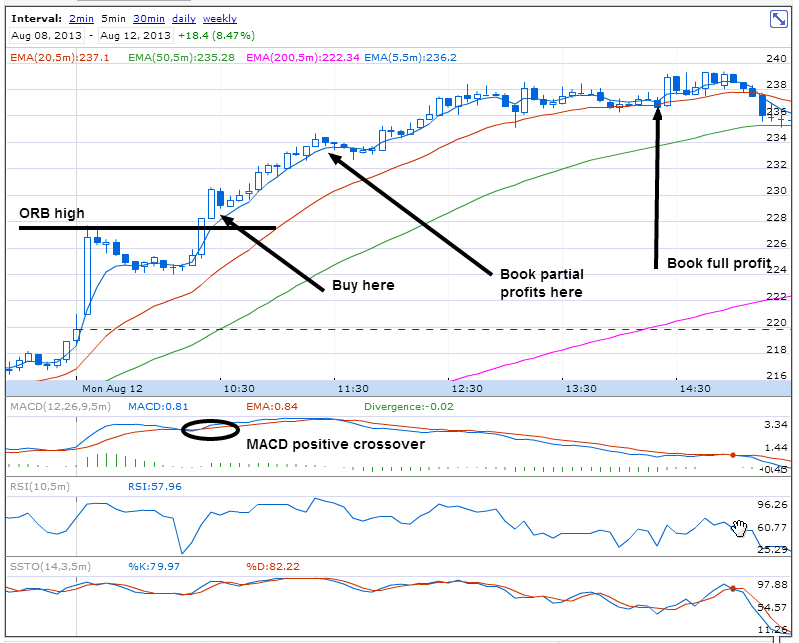 The stock sustained above the opening range high and MACD was positive at the time 5 MA line crossed the ORB. 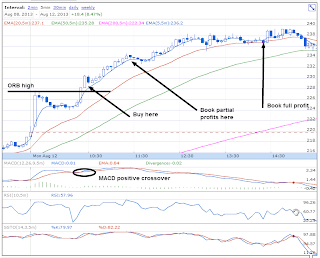 For ORB trading, please refer trading course here.